They are all very good. Not too sweet. The blackberry is fantastic! 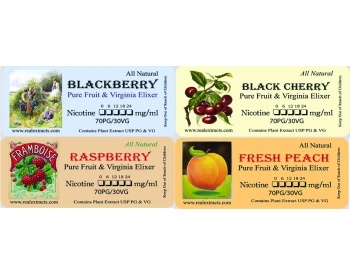 Raspberry is very fresh and bright, The Black Cherry is the best I have ever tasted and the peach is...very mellow fresh peach flavor. The tobacco comes thru very well with all of these.